Neither rain, nor sleet, nor snow...nor Sundays...will keep the post office from delivering your packages from Amazon. 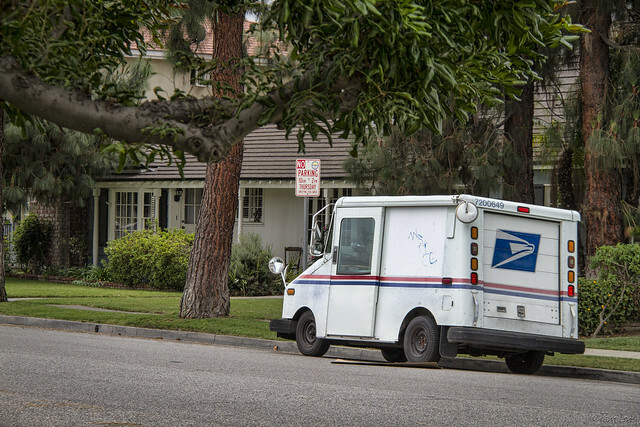 It's not at all unusual these days to see the small post office delivery trucks parked around town on a Sunday morning. This is because Amazon made a deal with the U. S. Post Office, back in 2013, to deliver Amazon's packages on Sundays and holidays. So don't be surprised at your next Sunday delivery.